Amazon went big in 2017 by launching new products and services to Canadians, specifically the Fire TV Stick, the Alexa-powered Echo voice-activated smart home speakers, and recently the release of its Fire 7 and Fire HD 8 Tablets. While it’s rare for big box retailers such as Walmart, The Source or Best Buy to announce its holiday numbers, Amazon Canada has no issues declaring its success. 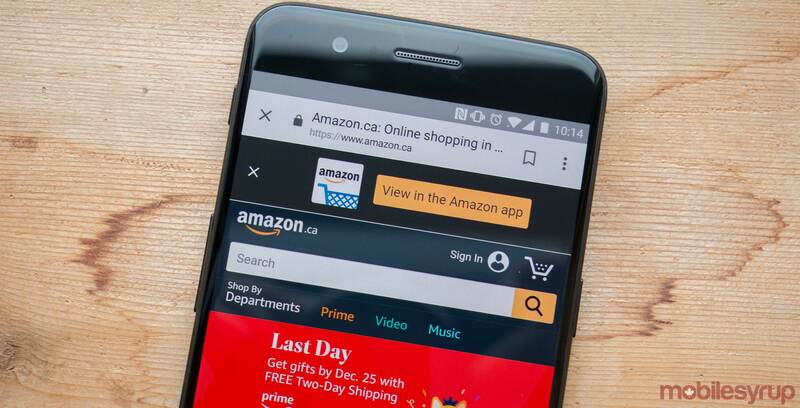 According to a company release, Amazon Canada announced it experienced its ‘biggest holiday season with customers all around the world shopping at record levels’ Specific revenue numbers were not listed, however, Amazon notes that over two million items were shipped with Same-Day/One-Day Delivery in Canada. The biggest day for shipping was on December 19, 2017. While the Amazon Echo Dot was the best selling product across all of Amazon, the top purchases by Canadians were the Fire TV Stick, TP-Link Smart Plug, Instant Pot pressure cookers, the Instant Pot Electric Pressure Cooker Cookbook, Sony MDRZX110 On-Ear Headphones, TubShroom, Fingerlings Cards Against Humanity, Tile Mate, Game of Thrones: Season 7, What Do You Meme? Adult Party Game, Philips Sonicare Diamond Clean Rechargeable Toothbrush, and AncestryDNA Genetic Testing kit. From a mobile perspective, Amazon noted its app usage increased by 70 percent during the holiday season. In addition, the massive retailer stated over 1,400 electronics products were ordered per second from a mobile device this season.